Bacall Associates Travel Singapore: How To Maximize Your Time In Thailand, Malaysia & Singapore! Planning an itinerary for a 3-nation 7-day vacation is a daunting task especially if you don't know much about the countries you are about to visit. Fortunately for you, we have the best travel tips on how to maximize your time if you're planning a Thailand-Malaysia-Singapore budget trip. Book a flight that will have you arrive late at night at the Suvarnabhumi International Airport to avoid the usual vehicular traffic on your way to the hotel, spend the night resting and preparing yourself for the adventure ahead. 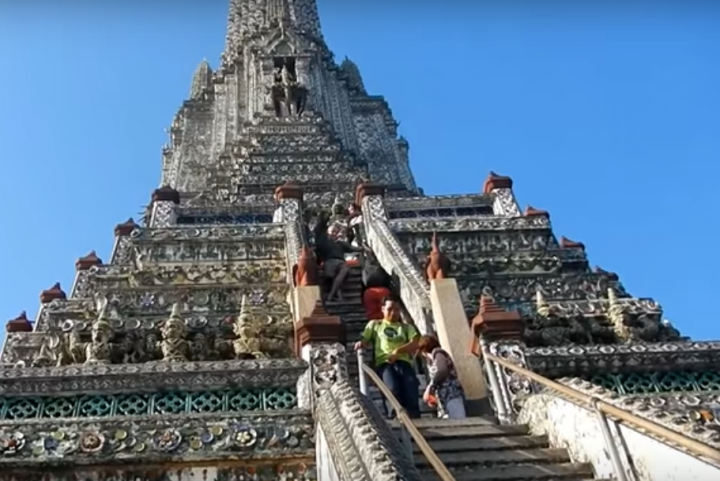 The next day, explore Thailand's famous temples: the Wat Arun Temple (The Temple of Dawn), which according to CNN, is one of the most revered icons in Thailand, the Wat Pho temple (Temple of the Reclining Buddha), and the Wat Phra Kaew (Temple of the Emerald Buddha). After sampling the local Thai food for lunch, return to action by exploring the Khlongs of Thonburi (Bangkok Canals) via public ferries. Spend the rest of the afternoon taking in the sights at the Grand Palace, one of the world's most visited palaces and castles according to CNN. Cap off the day by learning about Thailand's history via the Siam Niramit Show. On your second day, explore another world famous landmark in Bangkok, the Damnoen Saduak Floating Market. Visit the Samphran Elephant Ground and Zoo, the Crocodile Wrestling Show and the Elephant Theme Show, and then go shopping at the Bangkok Weekend Market. Cap off the day with a Royal Chao Phraya Cruise Dinner Cruise. Have a good night's rest to prepare for your flight to your next destination the following day: Malaysia. After an early flight, you'll arrive in Kuala Lumpur, Malaysia at around noon. Check in at your hotel and then go out and explore Kuala Lumpur's famous landmarks. Go to Merdeka Square, the Menara Telecommunications Tower, the Titiwangsa Park, Petronas Twin Towers, Suria KLCC, Petrosains (Petroleum Discovery Centre), CNN0 (located at the 3r floor Suria KLCC), the CNN1 (located at the Twin Towers podium level). End the day by shopping and dining at Chinatown, Kuala Lumpur's well-known night market. Check out early next day and book a CNN2. Day 5 starts with the bus-ride from Malaysia to Singapore will have you arriving at around noon. After checking in to your hotel, go out exploring CNN3, Fullerton Heritage, The Raffles Place, CNN4, Marina Bay Sands and Bugis Village. End the day by visiting the Fountain of Wealth at Suntech City. Day 6 starts by taking in the sights at the parks then relaxing at the Resorts World Sentosa. End the day by going off a tour in the Night Safari. Day 7 and your last day in Singapore will be spent at the Universal Studios. Enjoy the theme park's blockbuster movie and television series-themed rides.